Hello, my name is Coco + Kola! Female (Large). Labrador and labrador cross. Young-adult - DOB: November 2015. 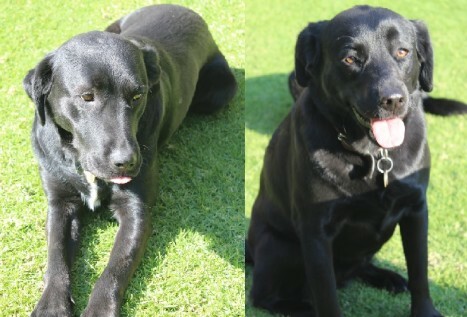 We have 2 beautiful black dogs, a Labrador and a Labrador cross, that need rehoming as we are moving to a small property that is too small for animals. The dogs (born in November 2015), come from separate litters have lived with us since 6 weeks old and have formed a close bond. Our preference is therefore not to separate them. Both dogs have a lovely disposition. Koko, the Labrador cross is highly intelligent, responds well to basic commands such as sit and wait and loves human interaction. 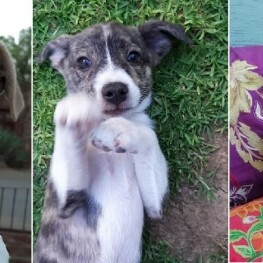 Cola has a gentle, loving and calm personality. Both dogs are regularly walked on a leash and have attended puppy training classes. The dogs are inoculated and dewormed – RiverClub Vet. They will be sterilized before homing. They are fearful of storms so will need an understanding family who can help them feel safe during storms & fireworks. They are both also housetrained.